8th INTERNATIONAL CONGRESS, 19-21 JUNE 2016 IN STUTTGART (CITY HALL), GERMANY. Mobility in the sustainable city. What do we need to do now | Consultores en urbanismo. 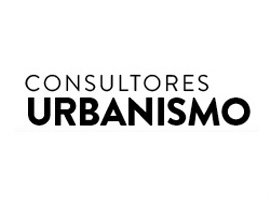 CONSULTORÍA JURÍDICA Y TÉCNICA, URBANISMO Y MEDIO AMBIENTE. Novedades Legislativas > JORNADAS, EVENTOS Y CURSOS > 8th INTERNATIONAL CONGRESS, 19-21 JUNE 2016 IN STUTTGART (CITY HALL), GERMANY. The 8th International Cities for Mobility Congress titled "Mobility in the sustainable city: What do we need to do now?" will be celebrated on 19-21 June 2016 at Stuttgart City Hall. The congress is addressed to municipal practitioners, decision makers, researchers and entrepreneurs from civil society and private sector combining presentations and workshops with practical activities, such as trainings and excursions. The 2016 edition will focus on the linkage between mobility and urban planning when it comes to design and put into practice sustainable transport and active travel in cities. It also deals with the question of how municipalities can combine long term planning (e.g. in infrastructure) with smaller and cheaper measures that are innovative, visible and easier to implement in urban space in the short term. In addition, several initiatives from civil society and research will come together at the Cities for Mobility congress in Stuttgart to bring in their ideas to support a change of mobility culture through awareness campaigns and pilots in public space. Some of these ideas will be presented in the workshop on mobility culture and in a small exhibition. One of the highlights at the Cities for Mobility Congress 2016 will be a cargo bike road show that will be offered for participants, citizens and interested stakeholders from business, on 20 June on the market square at Stuttgart City Hall. Participants will have an extra slot during lunch time to visit the road show so that they don't miss the program. The draft program along with practical information, registration and the call for posters will be available end of April on our website http://www.cities-for-mobility.net.